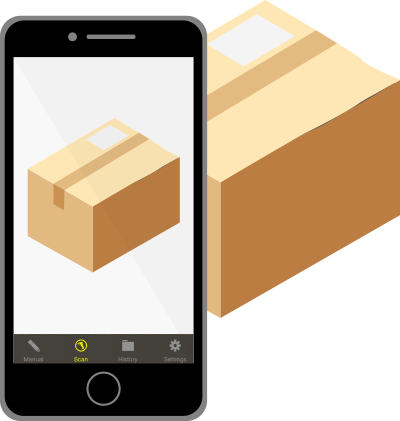 Collect data with forms, GPS or pictures. Get more user input with data collection forms and questions. Engage the barcode-holder with personal interaction or get more information about the point of entry with a question customized by you. Perhaps you want to ask a customer to review your product, or ask the user the condition of an item. Your imagination is the limit. Questions can be answered either with the mobile device’s keyboard, or in a multiple choice style with choices that you provide to the user. Multiple choices can have multiple answers, so the question’s flexibility is fully customizable. We let you do a lot with photos. Your app users can take on-site photos to document all assets, to document only damaged assets and structures or to take photos of employees, subcontractors and members. 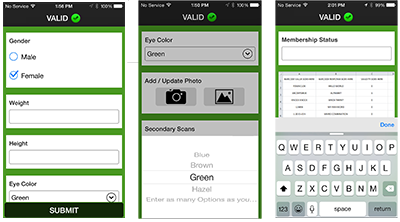 You can also set up the app to show those on-site photos (or any photo URL) to the app user after each scan as visual verification. 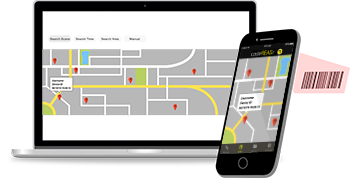 Not only can you keep track of user responses, but you can also track location data with your scans via questions or scan properties. Learn more. 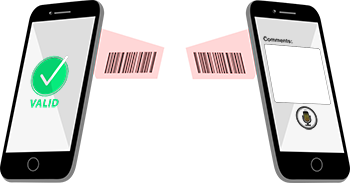 You can scan a second barcode within the data collection flow process. It can be used to relate two codes, to gather data from a second code or simply to fit your specific business process requirement. You can specify under which circumstances a questions is asked. Want the question to be asked before submitting a scan, or after? Want the question to be asked if the barcode is valid, or invalid? The choice is yours.